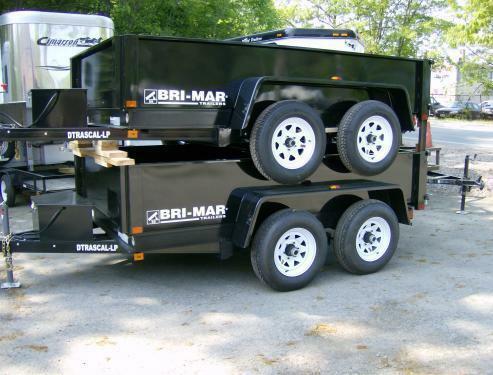 Bri-Mar 5 x 8 Dump trailer. Front two in photo. Single angle - standard. 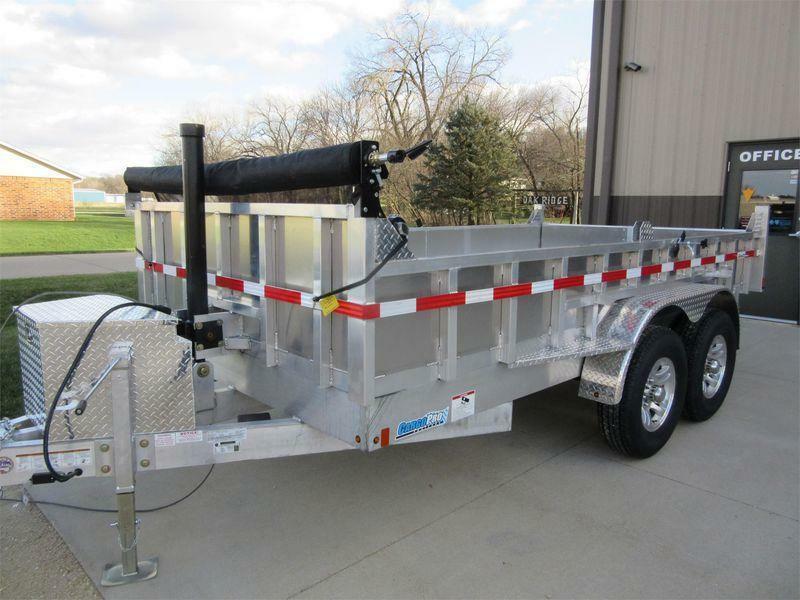 Front Dump trailer has 5k capacity. 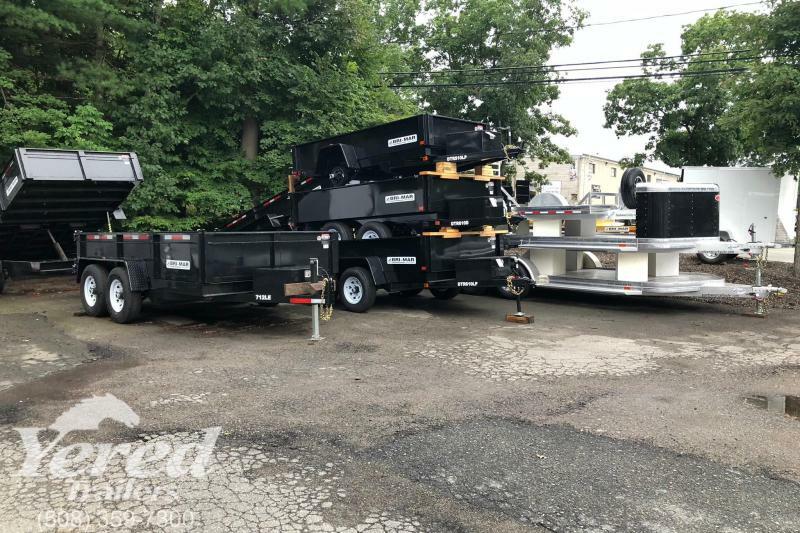 Back dump has 3k capacity. 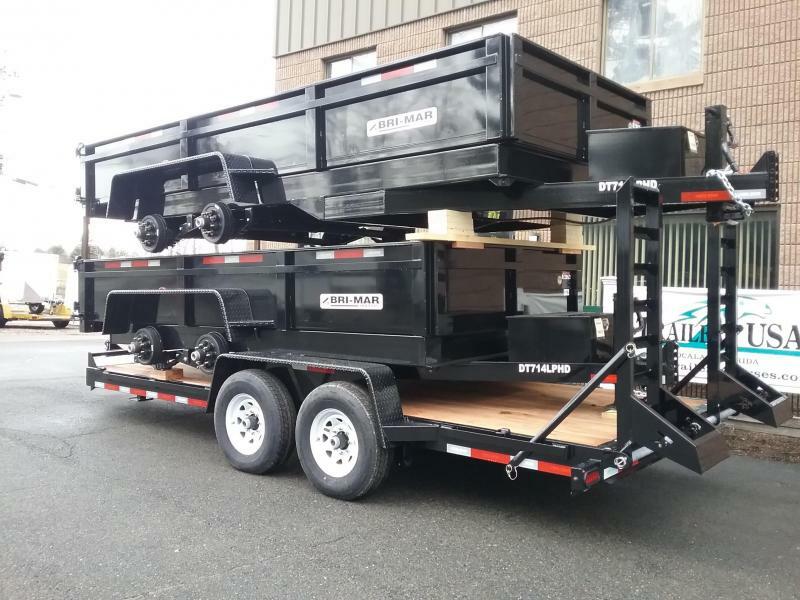 Comes with batt, Easier than unloading by hand. 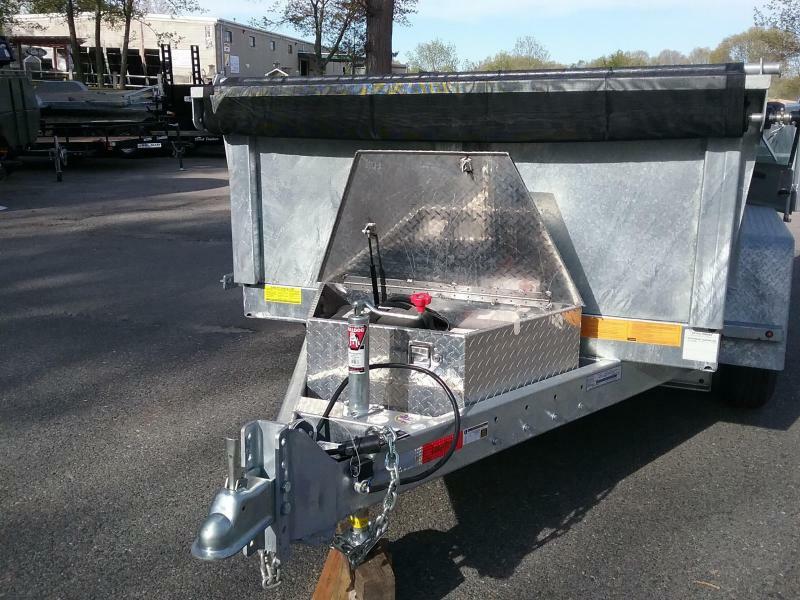 Just push the button, Can be pulled with a smaller vehicle!! 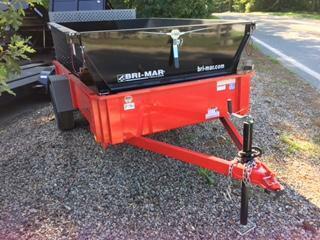 2019 Bri-Mar DT712x12k LPLE Dump, Low profile style, Combo rear doors, Batt, ramps under, Comes with tarp. 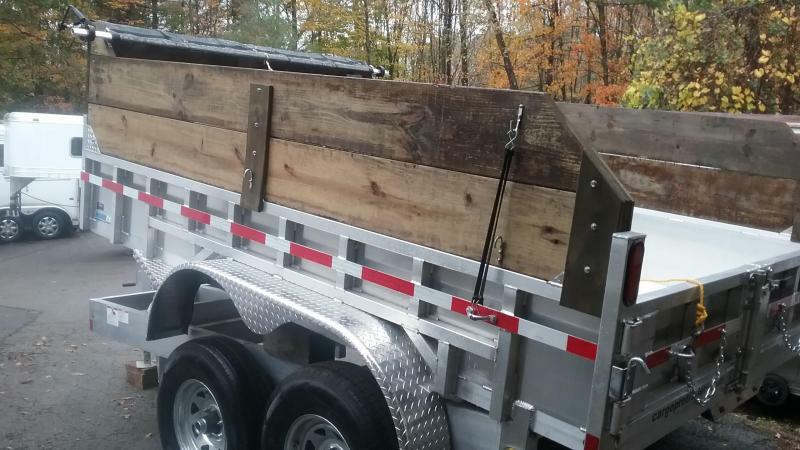 tie downs. 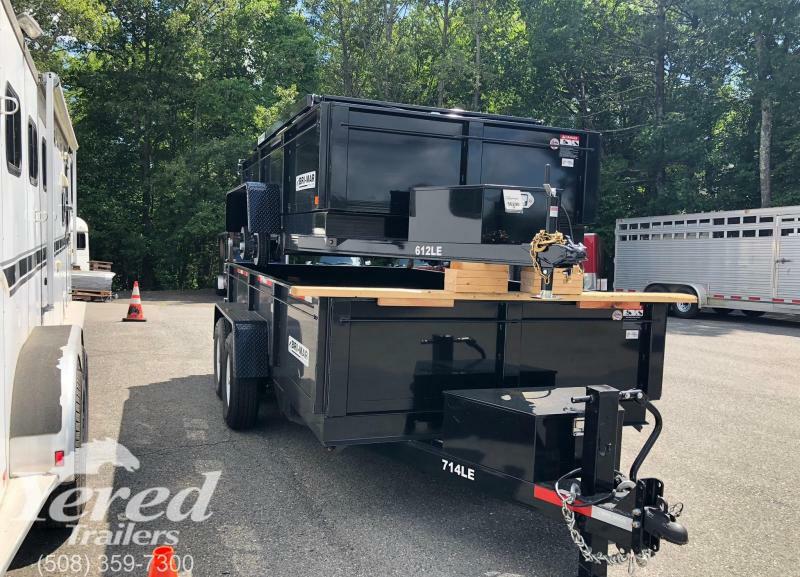 2018 Bri-Mar, DT 716LPHD -14, Hyd dump, Combo rear doors, inside tie downs, 2 ramps under the body. 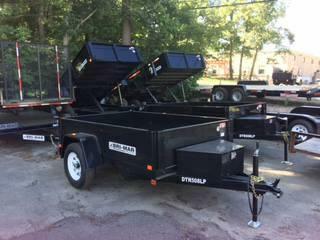 2-7k axles.. Includes, rub rails, stake pockets, Batt, and tarp. 16" 10ply tires, elec brakes. ALSO 7x14 in stock!!! 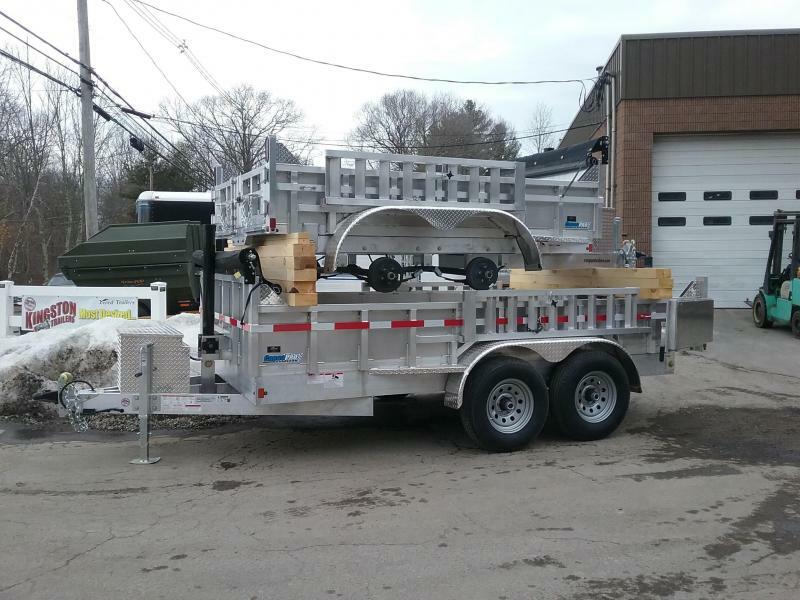 NEW 2019 CargoPro aluminum dump trailer. 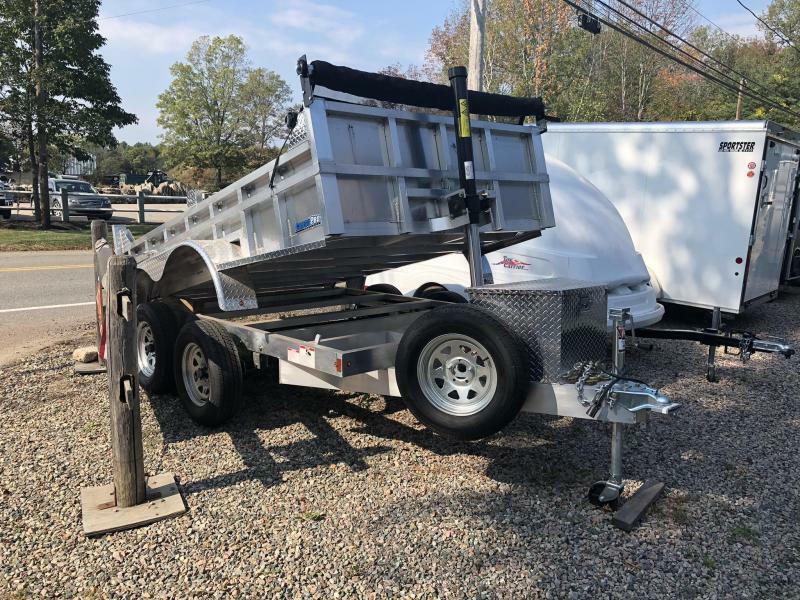 7x12x12k, ALL ALUMINUM, Comes with double rear doors, Tarp kit, 16" 10 ply tires, Mtd spare tire, Galv wheels PT Sides built up 24" , not shown Add on PT wood sides optional! !